Spring. It can never come soon enough and it always comes too soon to finish my hibernation and winter projects list. This week (if the nights warm up just a bit) we will begin transplanting our first romaine of the season into our caterpillar tunnels. The first one is up, ready, and covered with snow. On a 45 degree day with full sun you could lay out on a beach chair and get a tan in 80 degree weather in there. 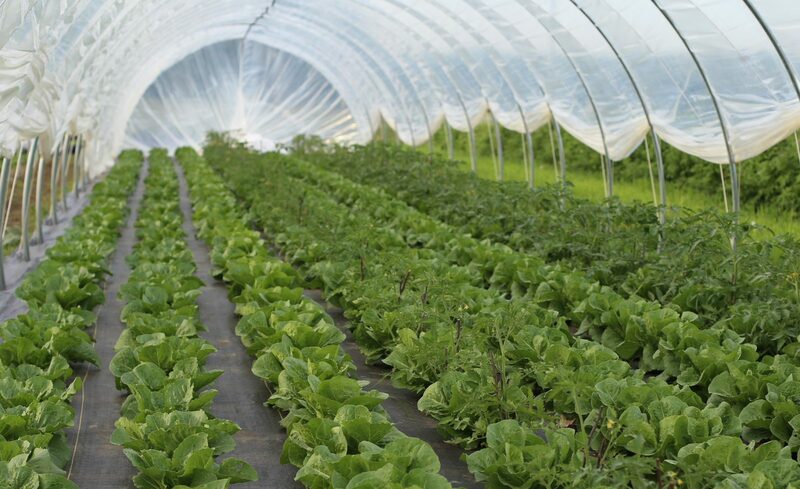 But, high tunnels aren’t the biggest undertaking at the farm this year. Over the course of this past year, I have been toying with the idea of turning all of our vegetable production area into permanent raised beds. Last year, during the initial testing of the Tilmor bed shaper, plastic layer, and plastic lifter, we had nearly 10 acres under production, most of which was under plastic. This year we are scaling back quite a bit to around 3 acres and I want to see if we can raise the methods of the intensive 1/2 acre no-till farmers to a larger scale. There are a lot of benefits of a permanent bed system. Soil that is not inverted and compacted will have much better structure and microbial life, will require less fertilizer and organic matter inputs, will retain water better, will greatly reduce weed pressure over time, and will allow roots to go deeper into the soil allowing for tighter spacing of crops and less competition for nutrients. Also, healthy soil leads to healthy plants which fight off diseases better and are less inviting to pests. Sounds great. Why isn’t everyone doing it? I think there are some great examples of small scale (1.5 acre or less range) farms who are doing it and doing it really well. However, their scale allows for the use of hand tools and manual labor that just isn’t practical for larger farms. Some of the issues we need to solve are: compost application, broad fork replacement, and seedbed preparation, among other things. As the plan evolves I will update. Copyright © 2019 Venture Heritage Farm. Proudly powered by WordPress.